Well, summer has ended for us and we are all back to school (kind of a bummer, if I'm being honest! )...nonetheless time to pull out the good ol' Back-To-School review activity! You can find my old posts from years back HERE and HERE if you want a little different spins on the activity. 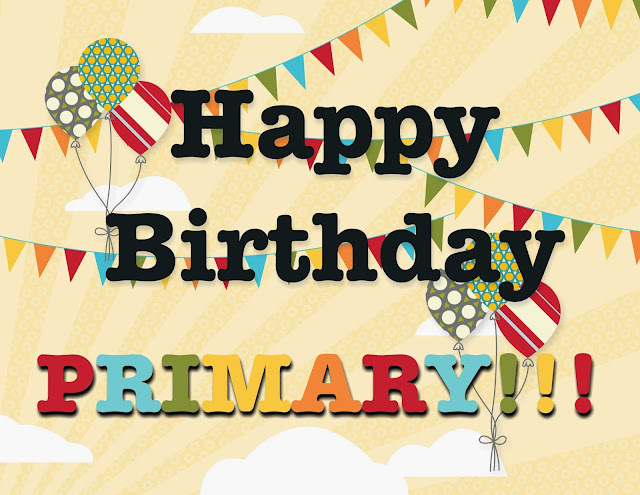 And if you'd rather take a break from reviewing program songs, you can celebrate the primary's upcoming birthday! I've got a fun singing time activity that I did last year found HERE which was a lot of fun! 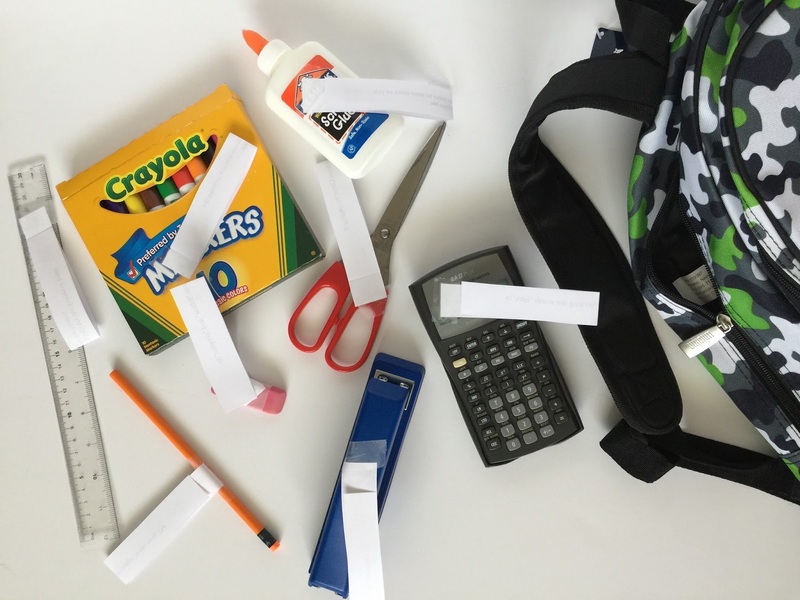 Gather the following items: backpack, eraser, glue, markers, ruler, calculator, pencil, scissors, sharpener. ERASER: “Erase" (don’t sing) the words “follow” and “prophet” in the song Follow the Prophet. GLUE: Glue your legs together and your arms to your sides so you hold really still while we sing Come Follow Me. MARKERS: Only sing He Sent His Son when you are wearing the same color as the marker that is held up. RULER: Measure the volume as we sing Tell Me the Stories of Jesus. Point to 1 inch for softer up to 12 inches for louder. CALCULATOR: Count how many times we sing the words “faith” in the song Faith. PENCIL: Write with your hands (sign language) to the song The Holy Ghost. SCISSORS: "Cut" the song The Church of Jesus Christ by singing it staccato (choppy). SHARPENER: Sharpen the song by enunciating each word for I Know That My Savior Loves Me. Before primary, hide the 8 objects around the room, placing the empty back pack up front. Tell the kids you need help getting ready for school and need to find your school supplies. Have the primary help you find the hidden items. As they are found, follow the instructions taped on each item then place them into the backpack. **If you have more time, throw in more school supplies with other songs! This would even be great for an easy 5th Sunday singing time if you happen to get the full time! Perfect! I'm totally doing this tomorrow. You're the best!